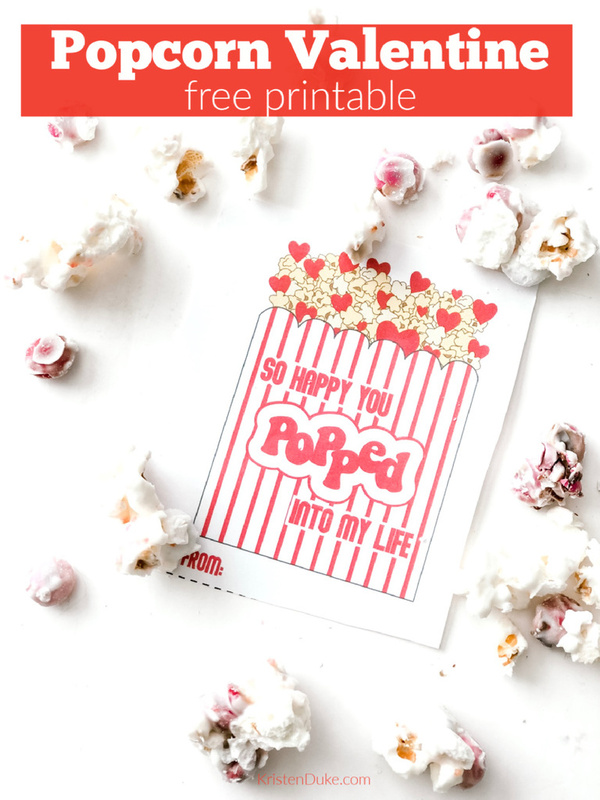 Print off this cute popcorn valentine, pair it with some yummy Valentine Popcorn and you have a perfect Valentine’s Day gift! I love Valentine’s Day, and I also love offering ideas to the Capturing Joy community to make it easy for you to have unique valentines for your children. The kids may enjoy the commercialized stuff, but if we can show them that there are OTHER OPTIONS like a popcorn valentine, then MAYBE they will catch the vision. 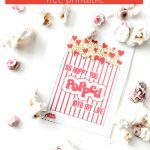 This can be a “no sugar valentine” with attaching a smaller bag of Skinny Pop or Boom Chicka Pop, stuffing some into a sandwich baggie. Making this party popcorn is one of my all time favorite treats. I often make it for parties, and match the colorful candied M&M’s to the theme color. For Valentine’s Day, I grab some holiday M&M’s, throw it into the mix, and BAM! festive popcorn! 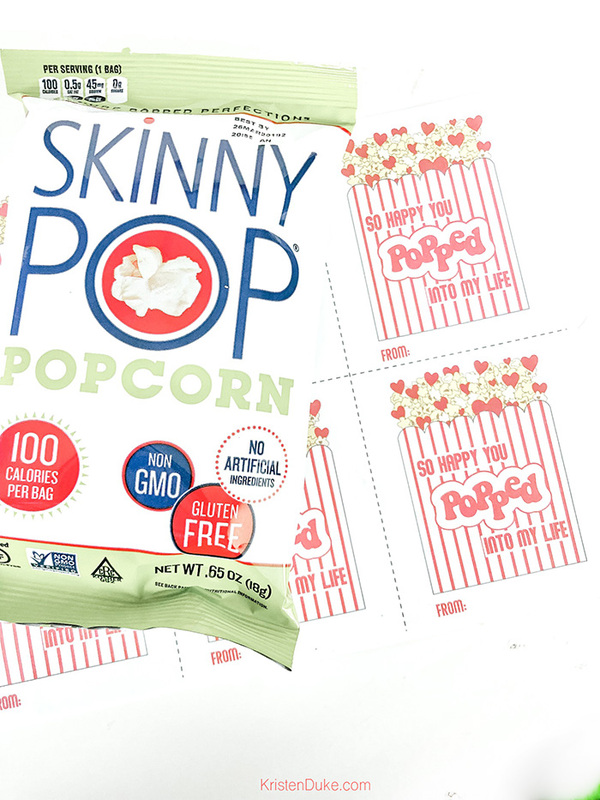 You can use any type of popcorn, but I like the Skinny Pop because there are never any unpoped kernels. Sometimes we’ll use microwave popcorn and that extra salt and butter doesn’t hurt the flavor situation. 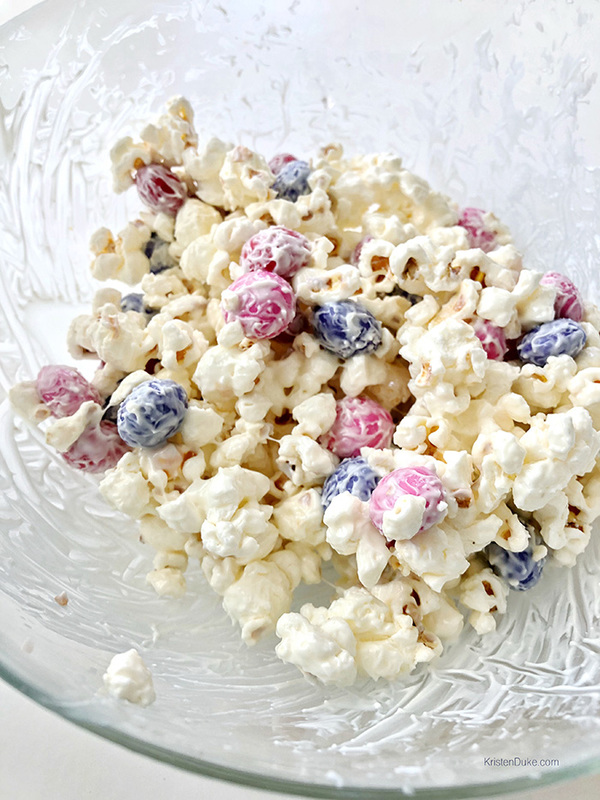 Fun and easy white chocolate covered popcorn with dressed up with holiday M&Ms and sprinkles! Melt white chocolate in the microwave for 1 minute. Then stir and continue to microwave it in 15 second intervals until melted, stirring in between. Once melted, add popcorn and M&M's and sprinkles if desired, then stir until coated. Put popcorn in a container with lid and place in the freezer for 10 minutes to set chocolate. Once chocolate has set, shake the container to break into pieces. Store in airtight container until ready to enjoy.